The grieving process is something all of us have had to go through at one point or another, and when you’re gripped in the depths of grief, it can feel overwhelming. Most of us can travel from one end of grief to the other and emerge, if not unscathed at least able to continue with our lives. 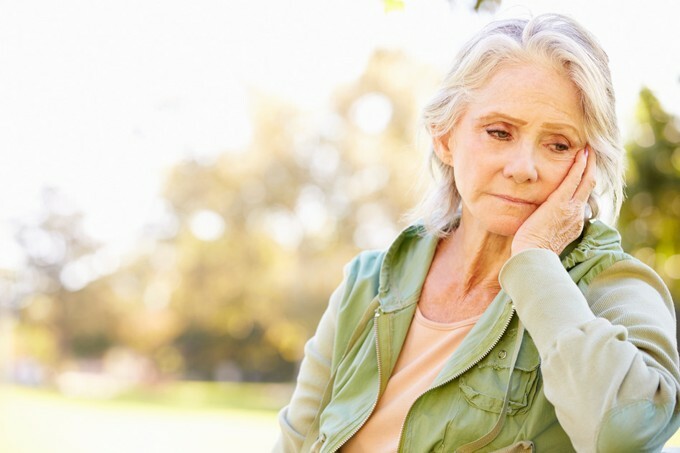 However, in some cases where there are unresolved feelings of grief, this natural process can become complex and complicated, with long-lasting effects that can seriously impact your life or the life of a loved one. Sometimes called “complicated grief,” unresolved grief is something that can effect as much as 7 percent of those suffering bereavement. Clinically it’s known as persistent complex bereavement disorder, and people suffering from prolonged, intense mourning with no signs of letting up. Conversely, unresolved grief can also present itself in an individual not seemingly mourning at all, which could indicate high levels of denial. In particular, this type of grief is often associated with other types of emotional disorder such as PTSD, substance abuse and major depression. Grief that is especially severe. Grief with an exceptionally long duration, up to years at a time. Grief that interferes with normal day-to-day functioning. Grief that remains at high levels of intensity especially after one year or more. Those who do suffer from unresolved grief commonly exhibit extreme reactions. It’s common for them to slip into obsession over the person where they find themselves unable to think about or discuss anything else, though sometimes this manifests in the opposite way of not wishing to speak about his or her loss or otherwise acknowledge it. Sometimes the bereaved will immerse themselves in work or a hobby in an effort to distract themselves from the emotional pain, battle depression, become socially avoidant, or even adopt destructive habits like smoking, drinking, or doing drugs. There’s no hard and fast rule as to what can cause unresolved grief. That being said, there are many risk factors that have been identified when it comes to individuals suffering from this kind of grief. In instances where the deceased lost his or her life suddenly, violently or from suicide, it’s more likely to have surviving friends and relatives suffer from unresolved grief. Bereaved with childhood trauma that led to anxiety and/or attachment issues are also more susceptible to unresolved grief as well, as are those who have little to no social support. While you can’t necessarily prevent unresolved grief, you can treat it. Traumatic grief therapy, a specific type of therapy that uses cognitive behavioral techniques to cope with the loss, has proven successful for many who suffer from unresolved grief. If you or a loved one looks like they’re suffering from unresolved grief, speaking to a professional is always a good idea.